Published: Apr 14, 2017 - Modified: Apr 17, 2019 - by Chef Rodney - 1 Comment - This post contains Ads & Affiliate Links. I love whiskey so when I heard about this recipe, I just had to try it. It didn’t take too long for these cookies to become one of the most popular recipes on this site. I’m really not that surprised thought because these cookies are absolutely fabulous! Crown Royal was gracious enough to post their recipe on their website which is what I used as a starting point to make the cookies pictured here. To be perfectly honest, this is one of the few recipes that I didn’t have to tweak to my liking. Pretty much perfection as is. 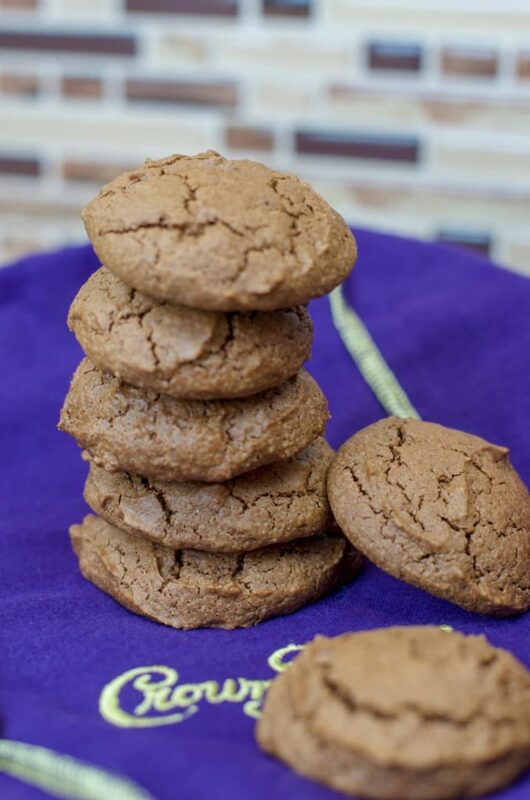 These Crown Royal cookies are soft and moist with a terrific flavor. As I said above, this cookie recipe has quickly become one of the most popular recipes on this blog! Make sure you check my notes below about baking with alcohol. Using an electric mixer, cream butter, cocoa powder and sugar. Add vanilla extract. Mix in the Crown Royal whiskey. Form 1 tablespoon size balls, and place 2 inches apart on parchment lined baking sheet. 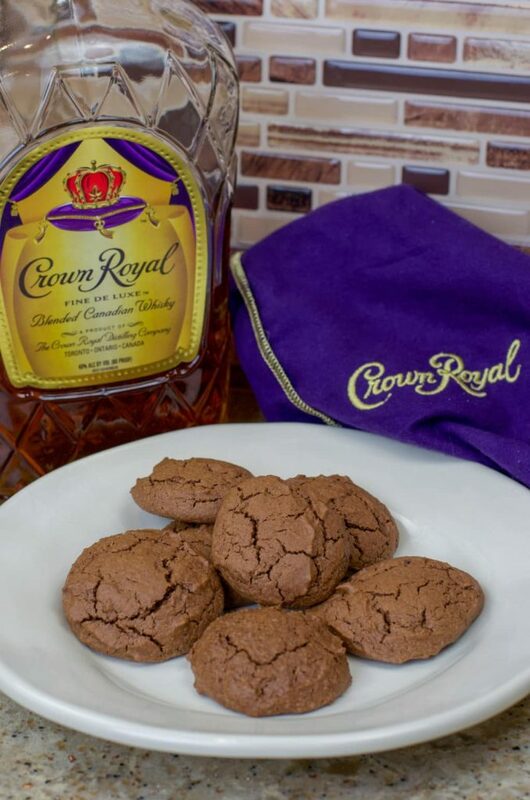 → You can substitute the Crown Royal Whiskey for other brands of whiskeys but keep in mind that it will alter the flavor of these delicious cookies!